I saw this online. It didn’t look like much, but the glass shades captured my special attention. They seem lovely. 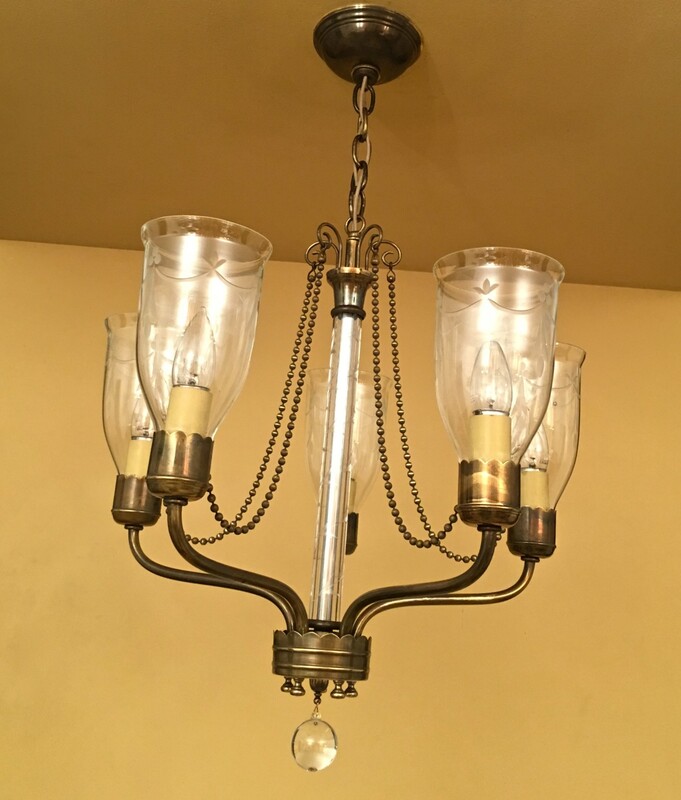 And more importably, they appeared original to the fixture. Also, what were those beaded swags made of? Oh! Brass. How cool. 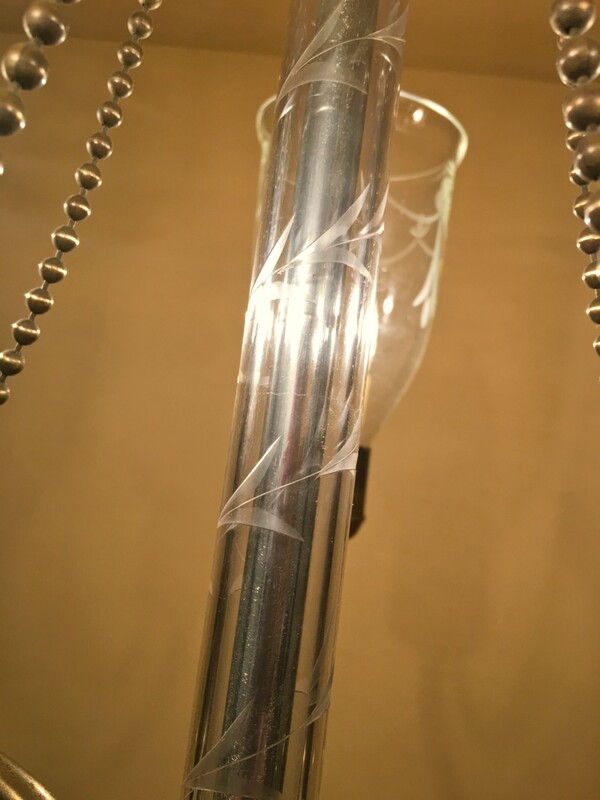 And…oh my…was the stem actually glass? 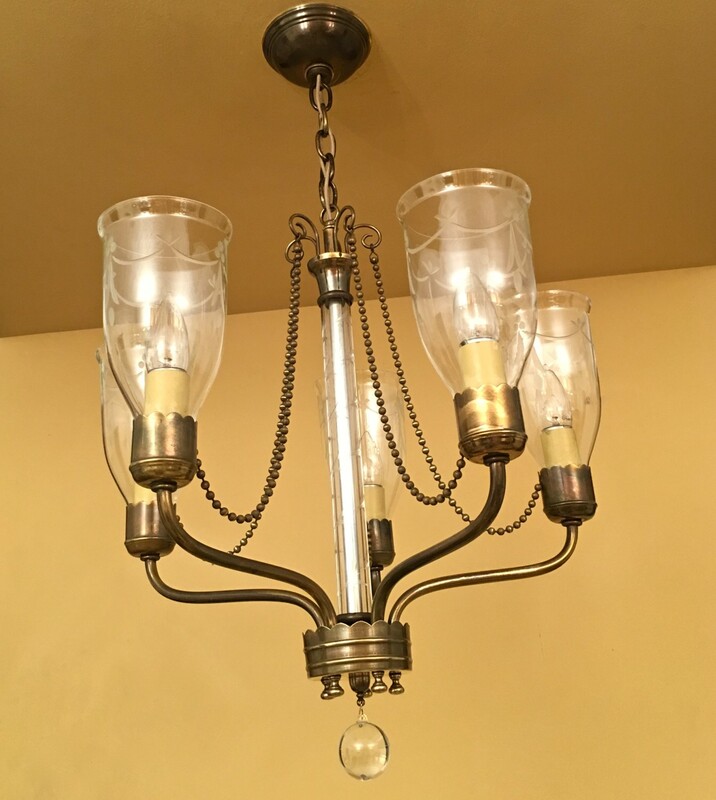 I purchase the chandelier. A week later it arrived. And I was HORRIFIED by the packing. HORRIFIED. 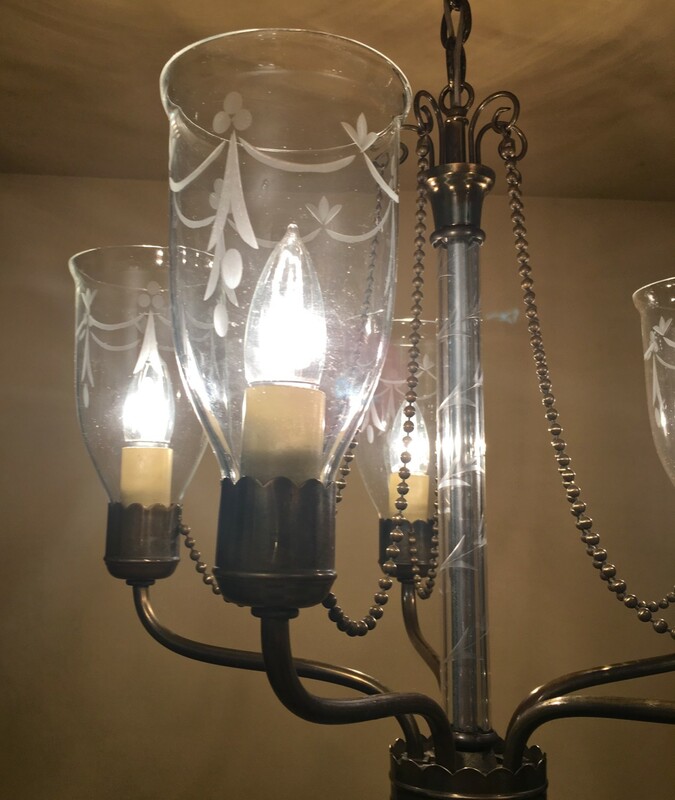 I gingerly and with great trepidation pulled out the five glass shades…and none were broken. A miracle. Nothing else could explain it. Oh, but what about the delicate glass stem? Also unbroken! I then looked at the ceiling cap. Lighting companies normally stamped these inside. Was there a marking or label? There was. Four numbers, in black, 4585. I instantly recognizes the style of numbers, and the numbering sequence, as being typical of Lightolier. My heart started racing. For, I love love love Lightolier, and their high quality. Had I unknowingly purchased a Lightolier? Golly. I raced to my stash of Lightolier catalogs and looked through them. Please please please let this fixture be proved a Lightolier. 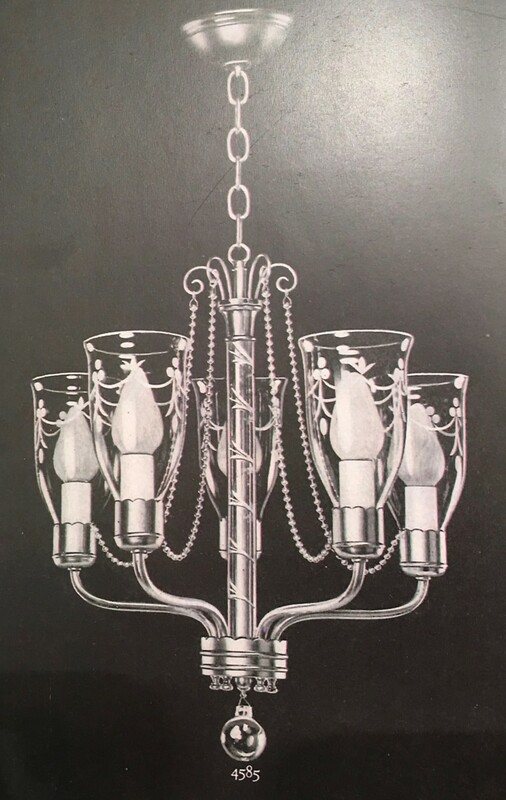 The chandelier is early 1940s (pre-war). And I could not be happier to restore its provenance. And beauty. 4 Responses to Before. After. Your “eeeeeks” make me smile? 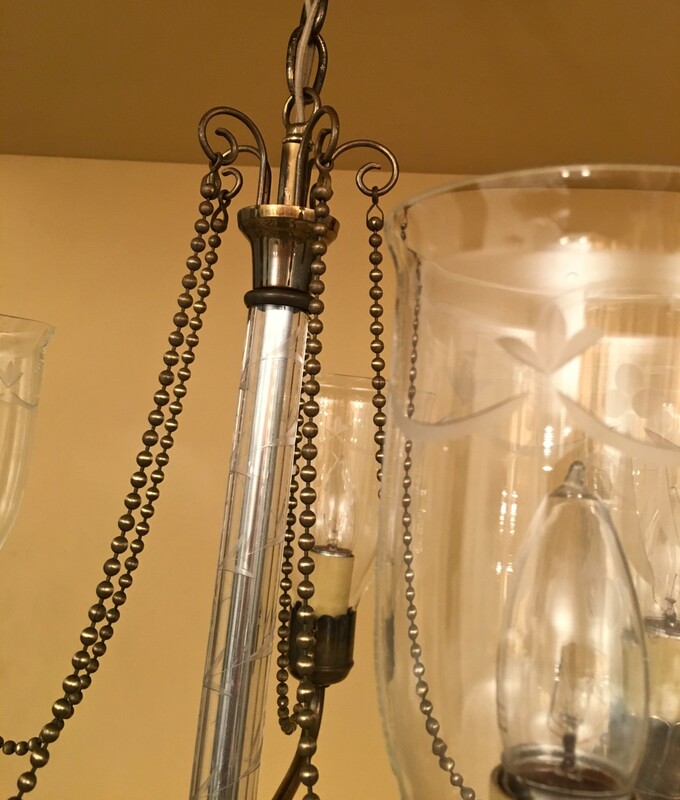 Just amazing what you do with these fixtures! This one is really nice and I’ve never seen one like it with the beaded chain. Very nice, and I especially like it with the smaller bulbs as opposed to those in the vintage photo. 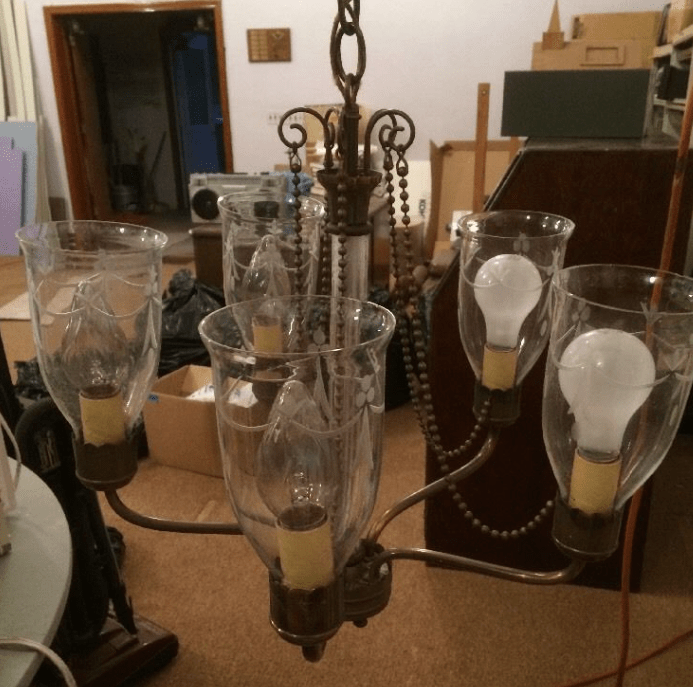 I love the seller’s mismatched bulbs. Seriously, I do. 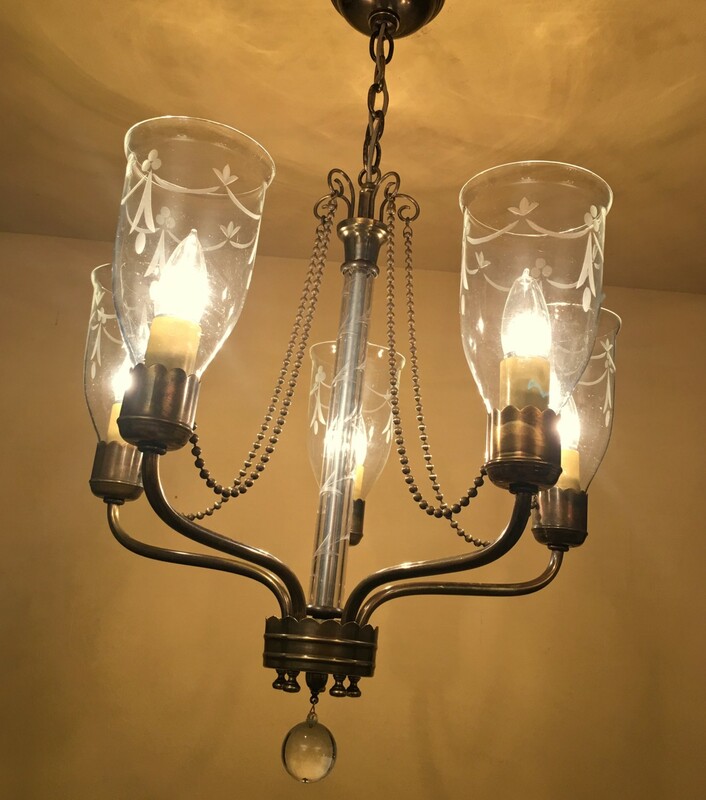 I got my parents a fantastic bargain thanks to bad photos of a very good chandelier a few years ago.